Paper FASTPASS Distribution. Born at Walt Disney World, July 1999. Died at Walt Disney World, January 2014. Beloved by park guests as a way to limit time waiting in lines. Survived by its offspring—My Disney Experience Website, My Disney Experience App, FastPass+ Kiosks, FastPass+ on MagicBands, FastPass+ on Ticket Cards, and Standby Lines—and by its siblings—FASTPASS at Disneyland Park, FASTPASS at Disney California Adventure, and FASTPASS at international Disney Theme Parks. Services will be in increasingly later one-hour time slots, until completely gone for the day. 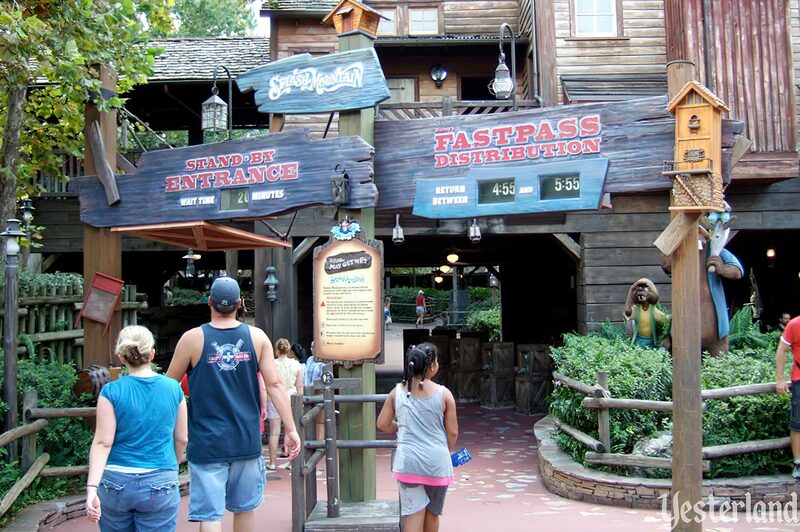 FASTPASS fundamentally changed how guests dealt with popular attractions at Disney theme parks. It began in 1999. Tired of waiting in long lines at theme parks? Walt Disney World says take a number. 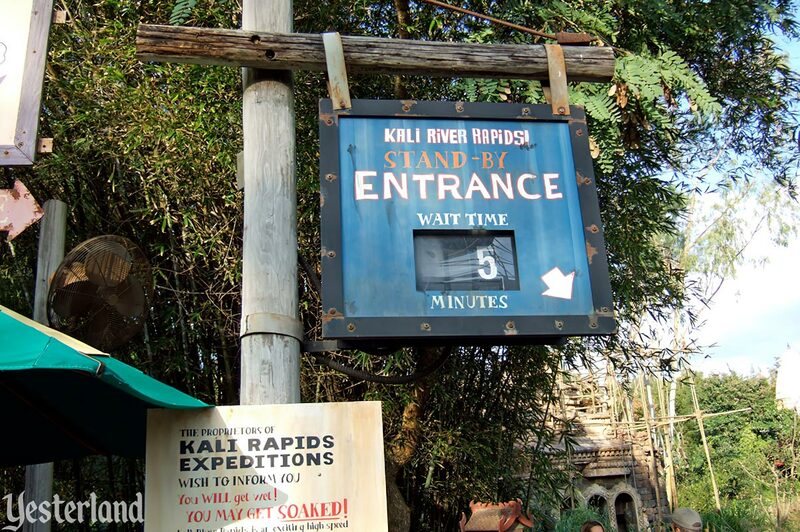 Within the next week, a new ride-reservation system will be offered at Kilimanjaro Safaris, Countdown to Extinction and Kali River Rapids at Animal Kingdom. By the end of the month, FASTPASS could also be available at other popular rides, such as Space Mountain and Splash Mountain in Magic Kingdom or the Rock ’n’ Roller Coaster—set to open soon at Disney- MGM Studios, Disney spokesman Dan Higgins said. “And this is something we could roll out at Disney attractions around the world,” said Higgins, who added that Disneyland is testing a system. For now, though, Walt Disney World is the only U.S. theme park using a line-reservation system, which Higgins said should be easy for visitors to use. Disneyland officially launched its own FASTPASS implementation November 19, 1999, at “it’s a small world” Holiday, after having run tests with summer crowds at Space Mountain. 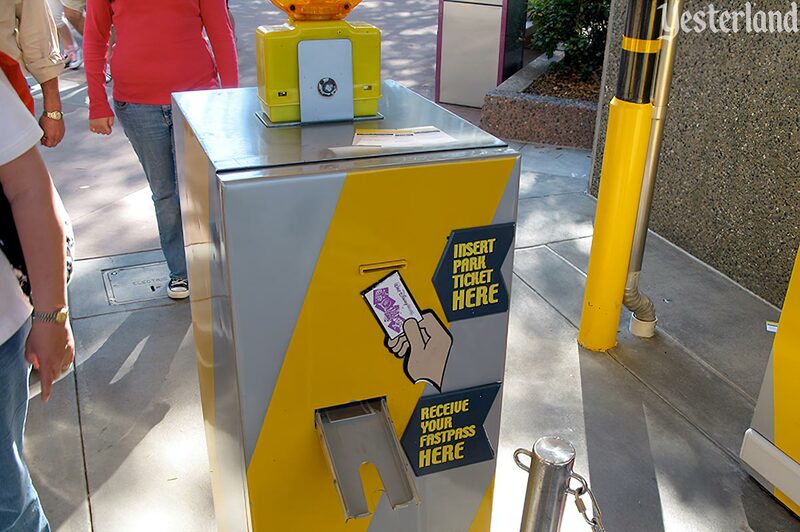 Just slide your regular Park ticket through the turnstiles at participating attractions. 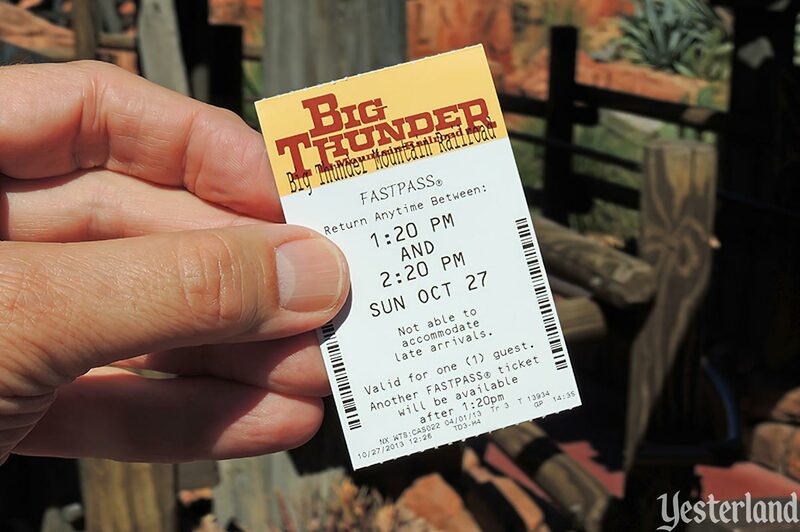 Your free Disney’s FASTPASS® ticket will be imprinted with a designated ride time. Now you’re free to go enjoy the rest of the Park. When your ride time rolls around, come back to the FASTPASS entrance and hop on board with no further wait. What could be easier? At a high level, that was how it worked. But there was more to it then that. 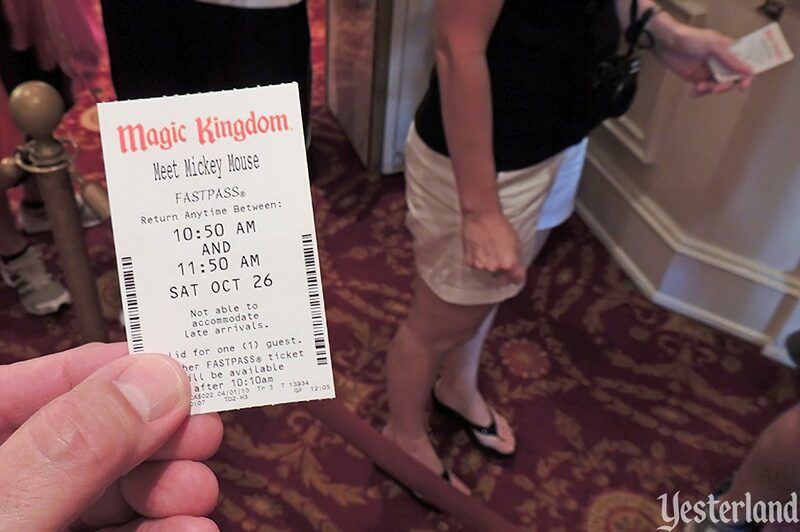 For example, after getting a FASTPASS, a guest had to wait two hours or until the beginning of the FASTPASS return time (whichever was sooner) before being able to get another. There were all sorts of ways to game the system. 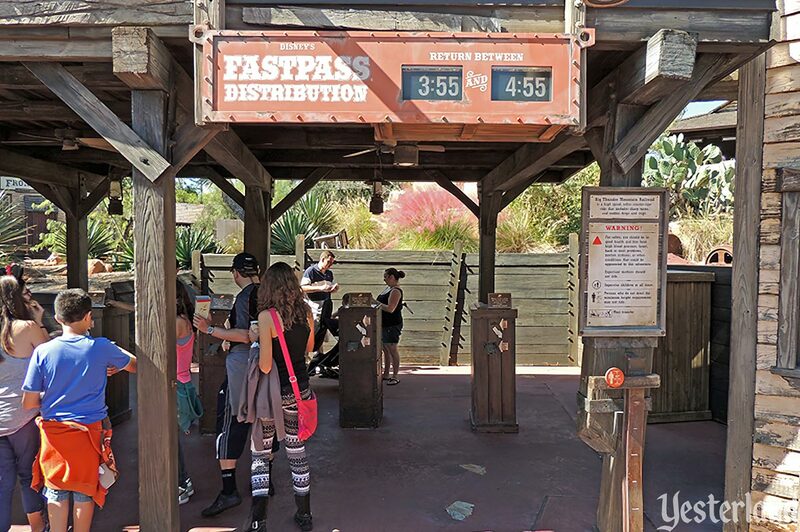 Websites disclosed which FASTPASS terminals were off-network, allowing guests to get a FASTPASS elsewhere immediately. 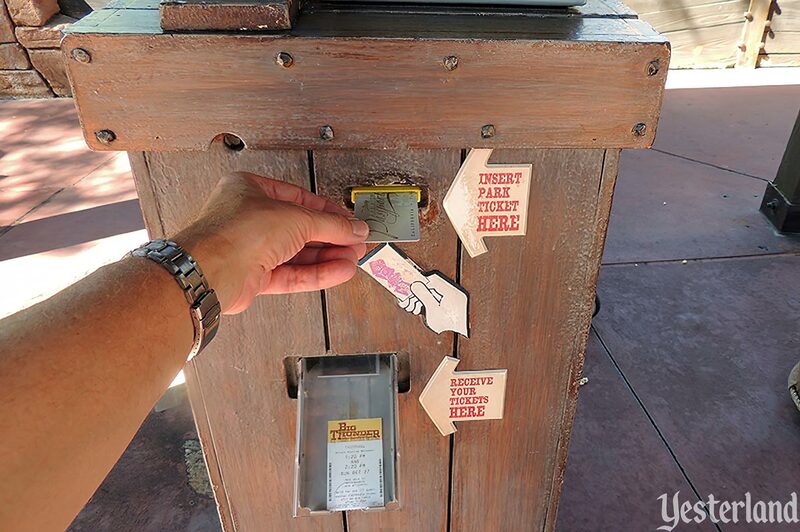 Initially, FASTPASS machines would accept old, used-up tickets that had not been used for park admission that day. Early FASTPASS users even reported success using other magnetic stripe cards, such as credit cards. Not surprisingly, most loopholes were soon fixed. But the biggest loophole lasted almost as long as the original FASTPASS system. 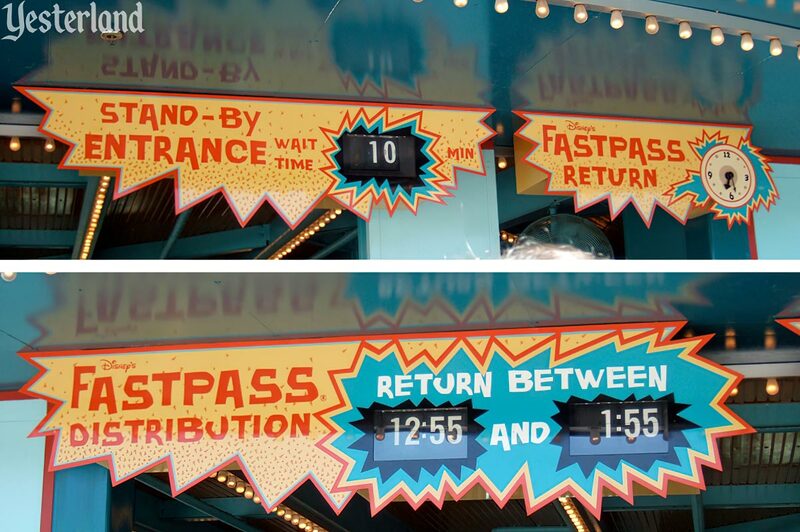 Each FASTPASS (except those for stage shows) had a one-hour return window. The start time was strictly enforced. But the end time was not enforced at all. Cast Members would not blink an eye when guests presented FASTPASS tickets whose end times had passed hours ago. Effectively, a FASTPASS for 11:20 a.m. to 12:20 p.m. worked as a FASTPASS for 11:20 a.m. to park closing. Knowledgeable guests learned to collect high-demand FASTPASS tickets in the morning and to use them during periods of peak crowds later in the day. End time enforcement finally began March 7, 2012. The biggest benefit of FASTPASS went to “obsessive planners” who took the time to understand the system thoroughly. It also helped regular guests who figured out the basics. But then there were guests who waited in long, slow standby lines while FASTPASS guests raced by them—because they failed to understand that they were also eligible for FASTPASS. 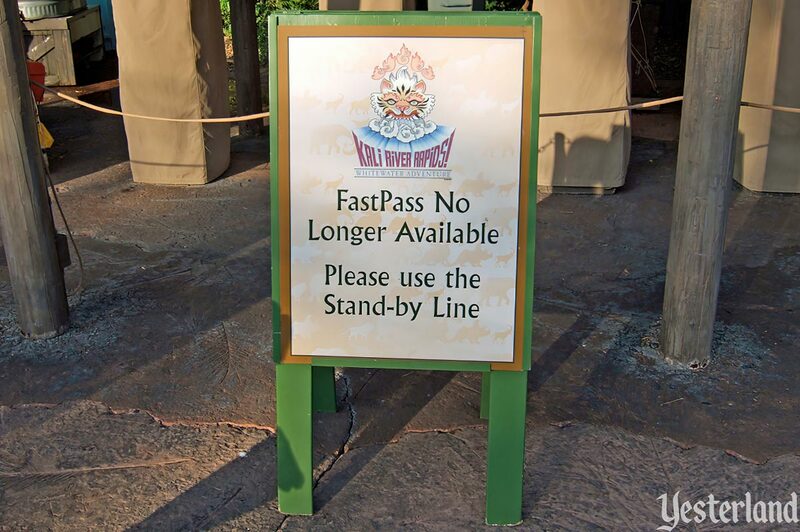 Critics of FASTPASS pointed out that the system did nothing to increase a park’s capacity. An attraction with a capacity of a thousand guests per hour still had that capacity. 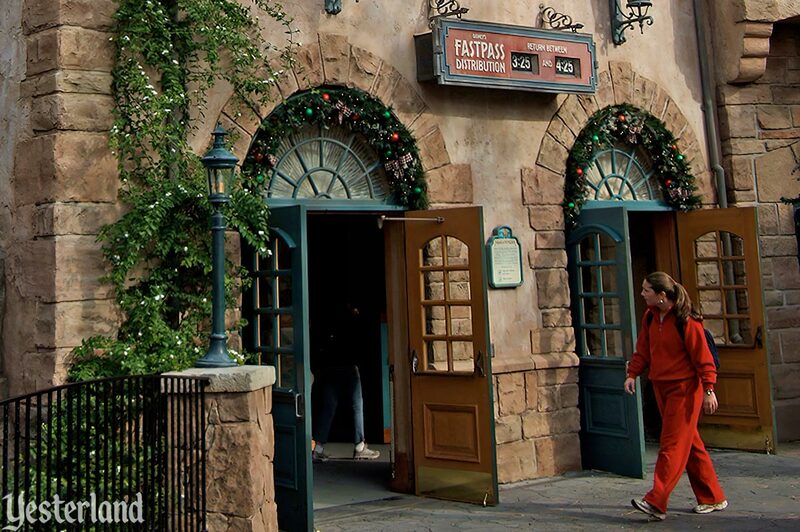 FASTPASS guests would be deprived of detailed queues, while standby guests would move through them too slowly. A prime example was the original Test Track. FASTPASS guests missed all the automotive test displays that set the stage for the ride, while standby guests spent too much time in front of each of them. Imagineers designed each FASTPASS distribution area to go with the theme of the attraction it served. 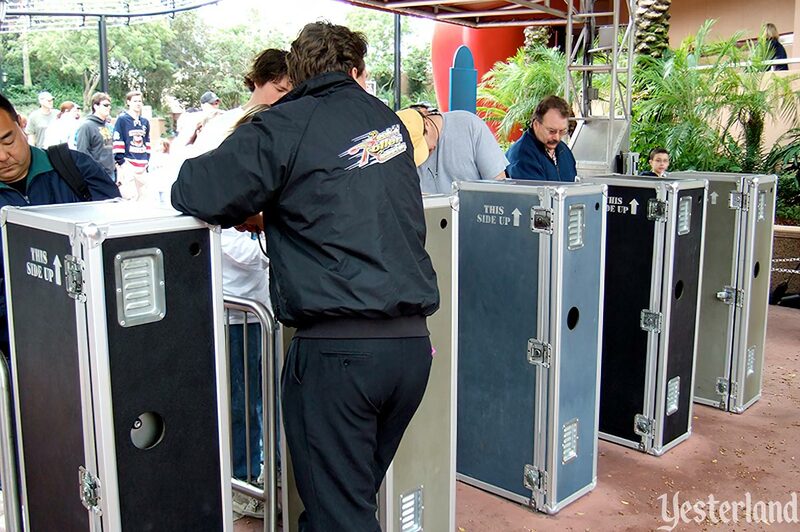 The terminals could resemble crates, trunks, equipment cases, toy boxes, or whatever contributed to the story of the attraction. To get a FASTPASS or not to get a FASTPASS? That was the question when standby times were reasonable. For repeatable thrill rides, the answer was often to get a FASTPASS for later and to get in the standby line right away. Because FASTPASS distribution was usually near the attraction entrance, it was easy to make spontaneous choices. Sometimes, a not-so-repeatable attraction (such as Maelstrom) would offer FASTPASS for 30 minutes later, while having a standby wait time of only ten minutes or so. It would waste more time to get a FASTPASS and kill 30 minutes than simply to use the standby line. Of course, standby wait times are a function of crowd levels and weather. On a hot, busy summer day, Splash Mountain can have a 120-minute wait. On a cold winter day when kids are in school, it’s a different story. 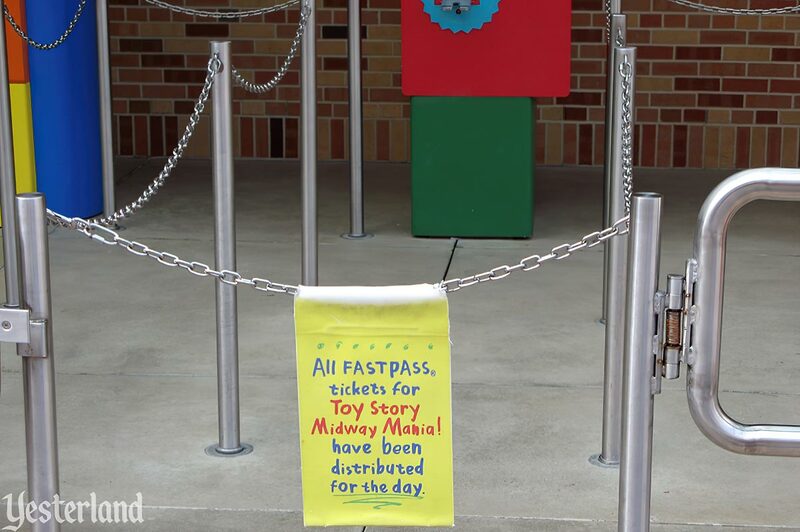 Guests at Disney’s Hollywood Studios would grab all FASTPASS tickets for Toy Story Midway Mania in the morning, leading to disappointment the rest of the day. Its counterpart at Disney California Adventure never had FASTPASS. There’s a debate argument in favor of each approach. 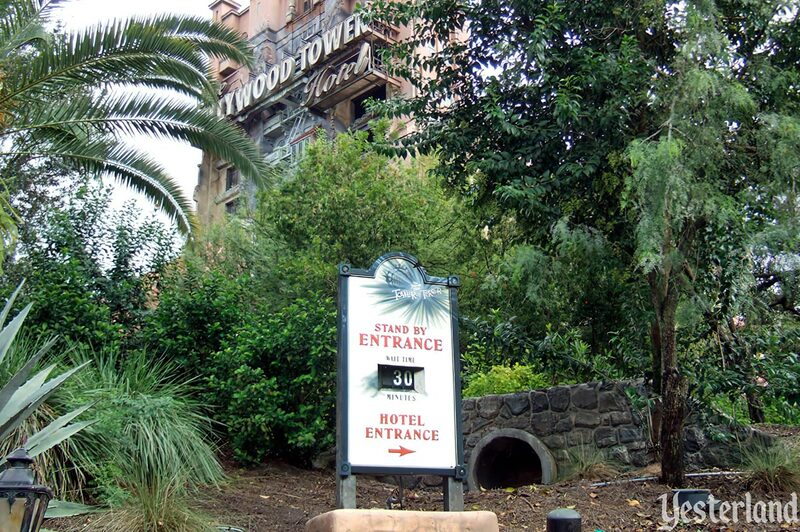 There was another reason why guests would be unable to get a FASTPASS. When a standby line takes less time than a typical FASTPASS line, there was no reason to waste money on staffing FASTPASS or even on the paper tickets. 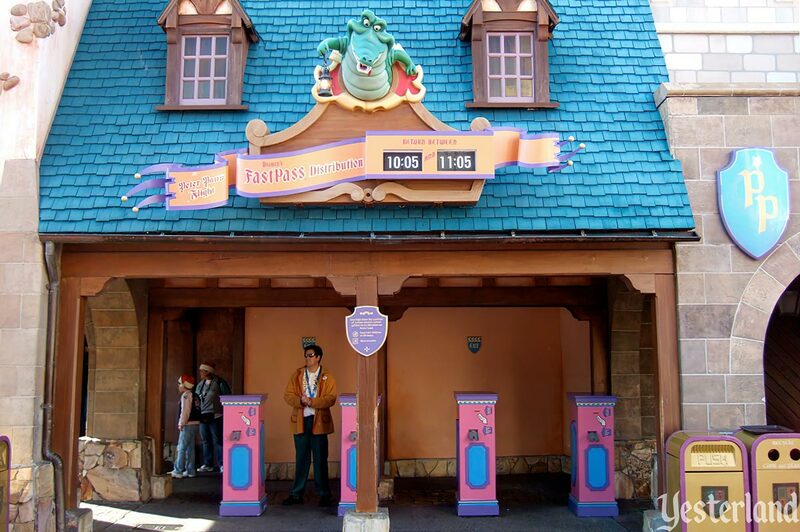 Although FASTPASS was designed for rides, it later became a way to schedule character visits. It’s better than waiting an hour in line. But it’s also sad that character interaction is no longer the casual, spontaneous activity it once was. 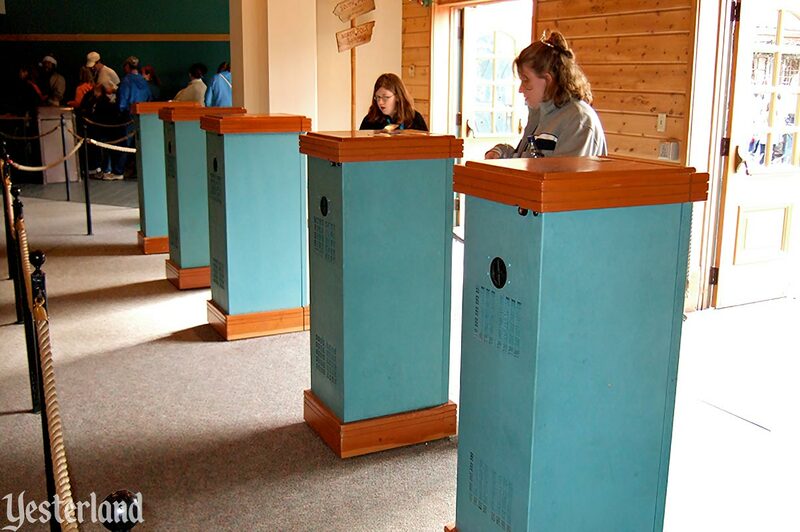 This Yesterland article was about the defunct paper FASTPASS system at Walt Disney World. 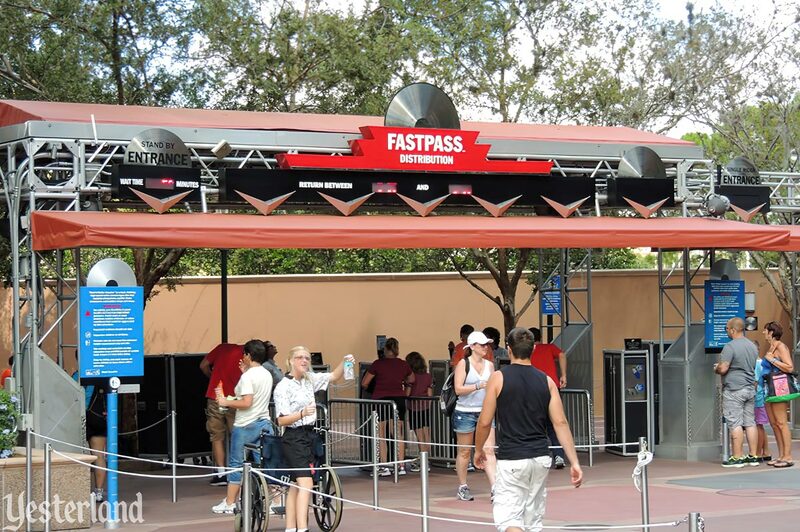 The high-tech FastPass+ system replaced it in early 2014, after a transition period in late 2013 with both systems. The separate FASTPASS queues and standby queues have not changed, but making only spontaneous, same-day choices at the attraction and getting paper tickets are things of the past. FastPass+ allows on-site Walt Disney World guests to reserve attraction times up to 60 days out and off-site guests 30 days out. Off-site guests are shut out from highly popular choices, such as the Seven Dwarfs Mine Train—which routinely shows no availability at midnight Eastern time 30 days out. 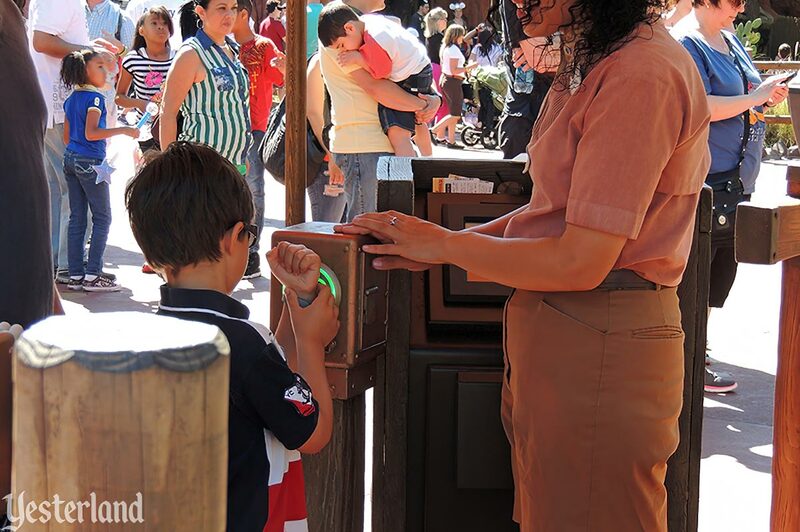 In-park FastPass+ kiosks provide some additional availability each morning. 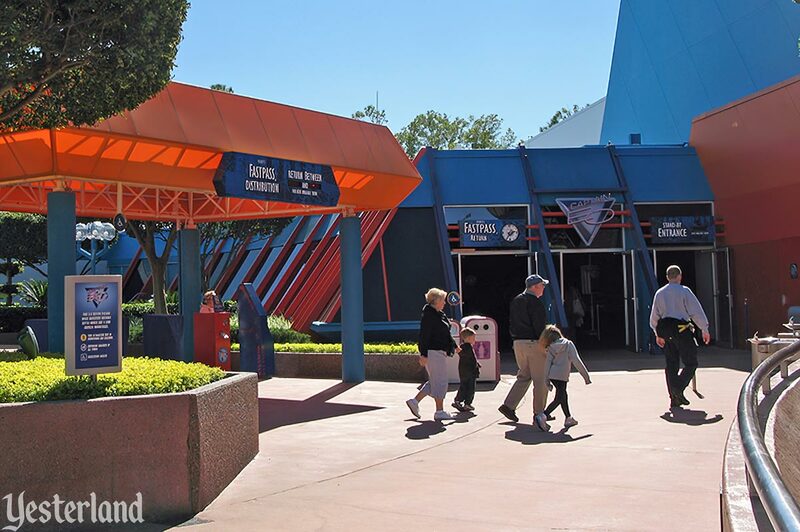 To make sure guests have plenty of choices, Disney added FastPass+ to attractions that don’t need it, such as Journey Into Imagination With Figment. 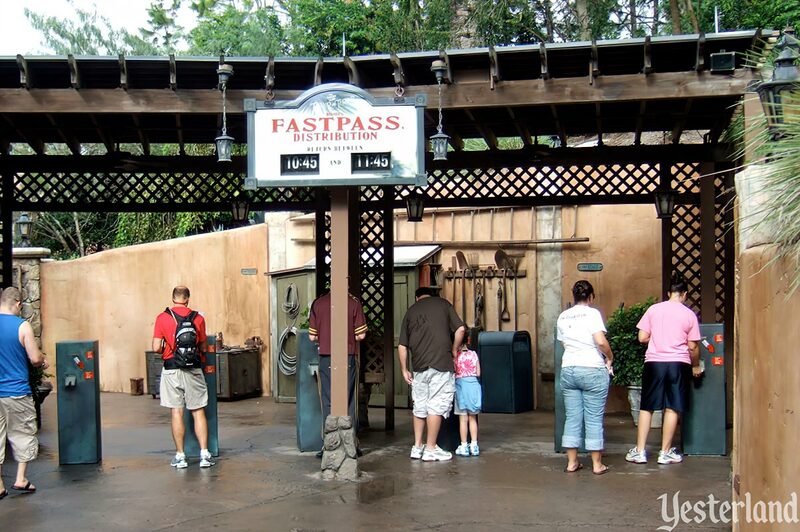 Is FastPass+ a wondrous innovation in vacation planning or another assault on the joy of spontaneity? But FastPass+ is a big improvement over FASTPASS in one regard. Disney’s official nomenclature for it does not use ALL CAPS.